There was quietness in the wind as Munk recounted her story of pain, betrayal and abandonment. She lifted up her hands, tanned and sun-beaten, to wipe away tears from her eyes. When I was 14 years old, a man abducted me to become his second wife. I barely had any idea about marriage at the time. From that time, I was never able to make my own choices. Munk is a woman from the Hmong tribe, an Asian ethnic group in China, Vietnam, Laos and Thailand. She grew up in the home of an alcoholic father who kidnapped Munk’s mother to be his minor wife. When Munk was a child she worked hard to help her mother do household chores such as preparing meals, fetching water and cleaning the house. At the time, she was not yet aware of a practice in her culture that would soon change her life. Like any other girl, Munk dreamed of graduating from high school and getting a job to support her family. The world was full of potential. She was ready to chase her dream and paint the world beautiful…until that fateful night. The sky was dark. Dinner noises died down, and only soft murmurs filled the small bamboo house. Finally, Munk was able to slow down and have time for herself. The bathroom door creaked as she slipped her thin frame in – careful to not blow out the candle, her only light source. While Munk was coming out of the shower, a man silently approached her. Other men had used the same tactic before him, abducting their brides at their weakest moment. Quickly, he advanced. Despite Munk’s screams and fight, he successfully kidnapped for himself his second wife. As a part of Hmong culture, bridal abduction was considered an alternative way towards marriage. In the years long gone, early anthropologists recorded instances of bridal kidnappings as anomalies, last-ditch efforts for desperate men often denied any chance at marriage because of physical disfigurements or loss of honor. These idealistic recounts often portrayed the men as luckless, hopeless romantics, allowed to carry through with the acts due to public sympathy or harsh measures should the girl not be treated properly. Perhaps times have changed, or perhaps anthropologists were looking through very rose-colored glasses, but these violent actions taken in the past and still taking place today are unequivocally and unjustifiably nothing more than sexual abuse against children. Munk’s stepfather forbid her mom from attempting to rescue her. In fact, he knew the kidnapper personally, a neighbor who lived only a few blocks down the road. So close were their homes that Munk’s mom could hear her 14-year-old daughter crying for help after being taken. According to Hmong culture, women are not naturally treated with respect or honor. 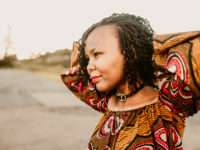 There is a belief that daughters are just temporary residents, and that they will eventually have to leave their parents to be with their husbands. If they cannot stay in the marriage with their husbands, they are prohibited to return to their parents’ homes because there is no place for them. They have to build a small house and live by themselves. After the first abduction, Munk then went through three other marriages, which she was either forced or tricked into. She suffered from verbal, mental and physical abuse from the men’s first wives, became an outcast to every community she went to and had to give birth to her third son by herself in a hut in the middle of the forest. There, in the makeshift shanty surrounded by the jungle, when her baby boy’s first cry was heard, Munk cut the umbilical cord with a rudimentary knife in her trembling hands. 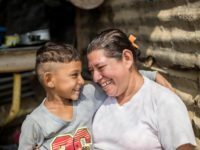 Munk was now a teenage mom with three male toddlers, with no support from her husbands or family members, no regular job or income and not even a proper home with windows and doors to protect her and her children. Having hit rock bottom, Munk decided to commit suicide to end her misery by drinking a large amount of pesticide farmers were applying to their vegetable. At the time, I realized that no one truly loved me because, when I called for help, no one came. I was really alone. But God was about to give her beauty for ashes. Someone found her with the empty pesticide bottle, and rushed her off to a hospital. After recovering, Munk decided to return to her hometown even though she knew that the reception would be less than welcoming. Rich in culture and tradition, Hmong people take pride in their heritage. As bridal abduction has been a part of Hmong culture for so long, and because there is that pride of culture planted in their hearts, some do not consider it a crime against human rights. As an organization that works to release children from poverty in all of its aspects and a group of people who stand up as an advocate for children, we consider issues like bridal abduction to be an abuse which must be eradicated. Recognizing the urgent issue at hand, two Compassion church partners in Hmong communities in northern Thailand have risen up to protect their children through intervention and education. One church partner is Kao Kor Grace Child Development Center, located in one of the biggest Hmong communities in Thailand. Having partnered with Compassion since 1990, Kao Kor Grace has registered more than 500 children into the program. The other, Bam Nam Sum Church, is tucked in the range of northern hills and surrounded by banana and lychee orchards. The church has been in the Hmong community for almost 10 years. In 2011, the church started partnering with Compassion and the Cheewit-Su-Kwam-Sawang (translated as “life into the light”) Child Development Center was birthed. As a Christian who works with children, I need to teach them to distinguish between what is right and what is not. We may not be able to change the whole culture. But we can start with the mindset of our children. 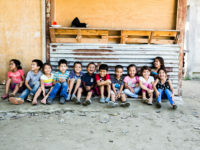 Through classes and activities at the centers, children are learning about their identity in Christ, the value that God places in each one of them and ways they can protect themselves from being taken advantage of. As children alone may not have enough power to bring the change to the community, training parents is equally important. This type of issue needs a whole family institution to break the cycle in order to usher in the transformation. By being registered into these child development centers, children are less likely to be taken advantage of because they are equipped with knowledge, empowered to make wise decisions and encircled by adults who truly care about them. As a result of their 20-year work in educating and protecting children, Kao Kor Grace staff are witnessing the results of their efforts. Since the start of the center, they have successfully prevented at least half of the registered children from being abducted for marriage. About 250 children from the center graduated from high school, while other teens in the community mostly do not finish grade nine. Thirty of them have gone to university, with 15 of them already graduated with bachelor degrees. Typically, people in this village are intimidated by some of their tribesmen’s power and are afraid to report abuse cases. Therefore, a lot of incidents were covered up by negotiation money. But these people know that I do not compromise with this kidnapping practice and that we, at Kao Kor Grace, have connections with the local police. So the villagers trust in me and secretly inform me about certain incidents because they know that the matters will be dealt with justly. Pastor Wittaya also shares about the work in Ban Nam Sum village. In our community, we have been trying to solve the problem by sharing with our village leaders our stand on this issue, building a network with other areas who share our thinking and strictly applying the law into our community. As a result, we can now see that the bridal abduction practice has gradually decreased. Actually, in city areas, it no longer exists. But Munk’s story was not yet over. Her life was just beginning to start. 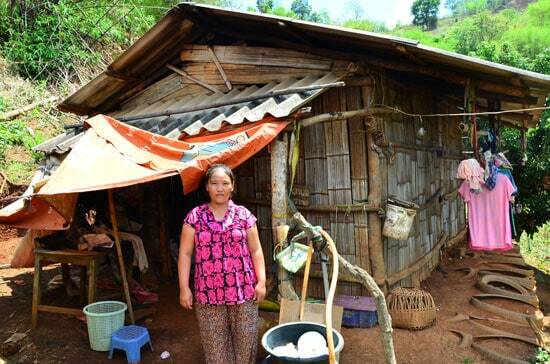 A few months after Munk returned to Nam Sum, Pastor Wittaya started to visit her despite other villagers’ contempt and disapproval. Having learned difficult lessons throughout her life, she was not sure what to think of his kindness. Recently, we managed to find a piece of land for her to plant rice for her family. After a full year of supporting her with rice, the church now sees that she is gleaning the fruit of her labor. She no longer has to buy rice. Most importantly, we were able to put her third child into a local school so that he would receive education. We also registered him into the Compassion program. As Munk slowly but steadily embraces the Christian faith, her life has begun to take another turn. She has made the significant decision to abandon her bitterness. I saw God’s love through the church. They exemplify Christian love through their deeds. They do not look down on me but love me in spite of everything. Tuangporn Wiroonchatapunth is a field communication specialist for Compassion Thailand. Beautiful story! I have seen those bridal abductions video in the Hmong tribe on YouTube and it’s so heartbreaking. It’s amazing what a blessing Compassion has been to not just this ethnic group but others in many other countries where the love is Christ is needed. I am so happy to hear of the results and how the girls are graduating! I am a Hmong woman and I am so proud to know a great organization like this is helping my fellow Hmong women in areas where they would be forgotten. Thank you! Are there any other Hmong children in Thailand through compassion waiting to be sponsored? Hello Pang! Thank you so much for your desire to support a Hmong child in Thailand! Regrettably, we do not have a way to search for children that are part of the Hmong group. We do however, have many children in Thailand that need loving sponsor’s! You can search for specific children based on age, gender, and even project if you know the area that you would like to sponsor in. You are welcome to look through our list of unsponsored children in Thailand, here. You can also email us at ciinfo@us.ci.org and we would be happy to send you a child for consideration! God bless you :). If that story doesn’t spotlight why man needs a savior, I don’t know what will. This world is so evil. Thank God for making a way, where was no other way for mankind. Praise the Lord forevermore. Hi Mandie! You can help prevent bride abduction by sponsoring a child (https://www.compassion.com/sponsor_a_child/child-search-results.htm?cboArea=142%7cAsia&cboCountry=764%7cThailand?referer=133488) in Thailand. Great article, Thanks be to God for watching over Munk. How about her other two children, are they in need of sponsorship? Karl, Munk’s two older children are over the age of nine which is the maximum age that we can register a child. This means that they are now ineligible. However, she has two younger children who are currently sponsored in Compassion’s program. Hi Karl! I’m checking into this and I’ll let you know what I find. Praise God that efforts are being made by the staff at Compassion Thailand to eliminate this practice of bridal abductions. I had never heard of this tradition, and it’s horrifying to think what it’d be like to be a young girl growing up in this community. Munk’s story is so heartbreaking, and I’m happy to read that she and her children have been given a chance to learn about God’s love for her. Thank you, Compassion, for going to work in this community!